* Above table do not cover all of available types. 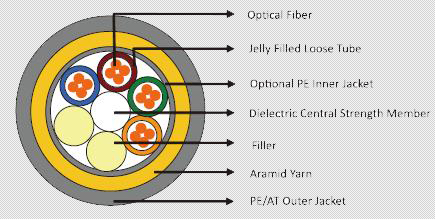 Other ADSS cables can be manufactured upon customer's request according to different span and sag environment. 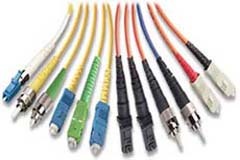 • High capacity cable offer great flexibility for placement on overhead transmission towers, eliminating the need for a support messenger. • Dry core design and high tension strength capability suitable for toughest environmental and electrical conditions. • Fit for extra high voltage power lines without interruption of power service to the customers. • Typical spans with 1%-1.5% installation sag environment.